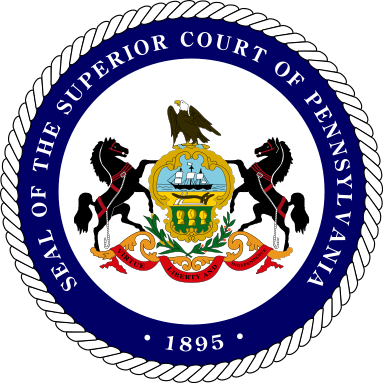 PHILADELPHIA – The Superior Court of Pennsylvania recently affirmed a 2014 judgment of the Philadelphia County Court of Common Pleas to deny a petition of striking or opening a judgment in a breach of contract suit between a bank representative and an owner-operator of personal fitness centers. Judges Susan Peikes Gantman, Jacqueline O. Shogan and Cheryl Lynn Allen ruled in this case, as Gantman authored the decision to uphold the trial court’s decision to deny Scott Caplan’s petition to strike or open a judgment in favor of appellee Daniel R. Neducsin. Caplan founded Sweat Gyms, a chain of fitness centers, in 1996. In order to expand the chain, Caplan obtained a loan and a $250,000 line of credit from Wells Fargo on July 21, 2010, which Neducsin guaranteed. On Dec. 31, 2011, both parties executed the Bedrock Note, which Caplan’s attorney had reviewed. By early 2012, Sweat was nearly bankrupt, and in need of debt restructuring and a cash infusion to continue operating. On March 9, 2012, Caplan and other Sweat shareholders entered into a new note with Neducsin in exchange for $2 million of additional funds. Just as with the Bedrock Note from a few months prior, Neducsin possessed a warrant to confess judgment in the event of a default. On the same day, Caplan signed a revised shareholders’ agreement that stated no shareholder could take funds from the Corporation’s bank accounts for personal use without unanimous consent of all shareholders. Twice, Neducsin asked Caplan about the amount he had drawn from the line of credit, and twice, Caplan inaccurately replied with an amount of $50,000 – when discovery later ascertained the true amount was $170,000. Based on these misstatements, Neducsin filed a complaint in confession of judgment against Caplan for $2,005,970, on Sept. 24, 2012. Caplan filed to open or strike the confessed judgment on Nov. 8, 2012, after several agreed-upon extensions of time. By order of June 4, 2013, the Court denied Caplan’s petition to strike but ordered discovery and briefs on his petition to open. After oral argument on Feb. 6, 2014, the Court also denied Caplan’s petition to open the confessed judgment on Feb. 25, 2014. Caplan appealed one month later, claiming he had “unknowingly, involuntarily, and unintelligently” signed the note. The Superior Court did not find favor with his argument. “The claims appellant raised in his petition to strike were inappropriate grounds to strike the confessed judgment. The confession of judgment provision at issue in the March 9, 2012 note was in writing and placed within the note, prominently on its own page in all capital letters,” Gantman said. Gantman said Caplan defaulted on the note twice in his misrepresentations of how much money he had drawn. “Appellant essentially admitted he took money from the corporate line of credit for personal use, without unanimous consent of the shareholders, and misrepresented the amount he took. In light of appellant’s false statements and his admissions, appellant was in default of the March 9, 2012 note as a matter of law,” Gantman said. “Given appellant’s misstatements and admissions, he was in default of the parties’ agreements, and without adequate meritorious defenses. Accordingly, we hold the trial court properly denied appellant relief on the grounds asserted, and we affirm,” Gantman said. The appellant is represented by Daniel S. Bernheim III, Jonathan J. Bart and Matthew R. Skolnik, of Wilentz Goldman & Spitzer, also in Philadelphia. The appellee is represented by Paul R. Rosen and David B. Picker, in Philadelphia.